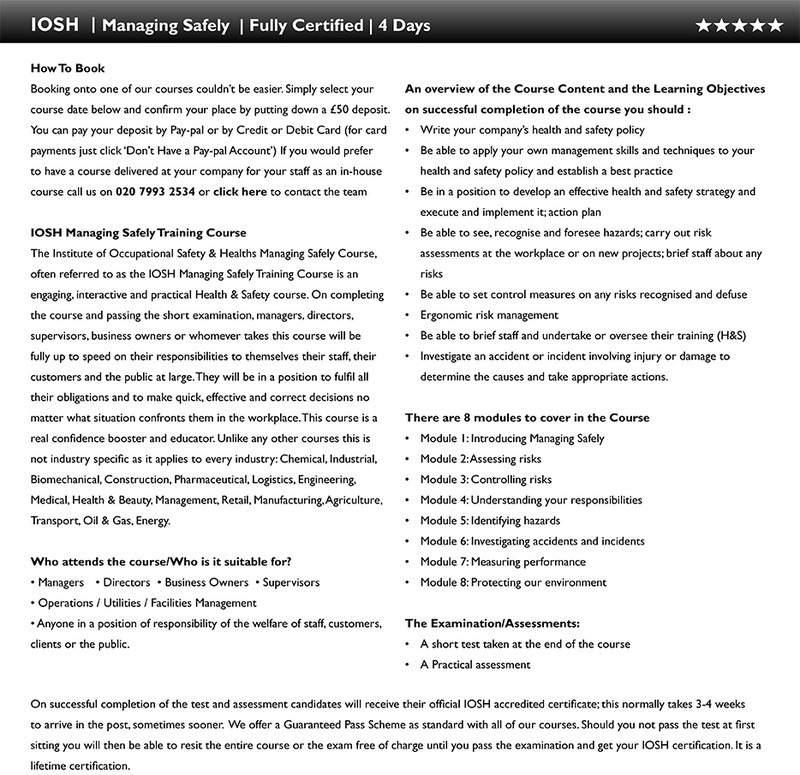 Booking onto the course is very simple.. simply choose your course date for the IOSH Managing Safely or the IOSH Working Safely course from the dates below, place a £50 deposit and your place will be confirmed. Your deposit can be placed via Debit/Credit Card or by PayPal. If you would prefer to book over the phone or if you have any questions you can give us a call on 020 7993 2534.